Audemars Piguet, one of the associate partners of Art Basel, commissioned Austrian artist Kurt Hentschläger to create a reflective video installation and plans to feature it at the Swiss watchmaker’s VIP lounge during the international art fair's Hong Kong edition, running May 15-18. Over the last 30 years, the artist has worked predominately with time-based media, light, and sound, and his atmospheric video depicts scenes from the Vallée de Joux, the home of Audemars Piguet. The film presents the co-existence of nature and technology, exploring how they can inspire and affect one another. The lounge, designed by Mathieu Lehanneur, will also present an exhibition of historic and contemporary timepieces, including a display of six new models of the Royal Oak Offshore in 42 mm. For this design concept, Lehanneur is using resin and fiber molding to cast replicas of the rocks he found in the Vallée de Joux, aiming to create his own version of the rugged natural landscape. 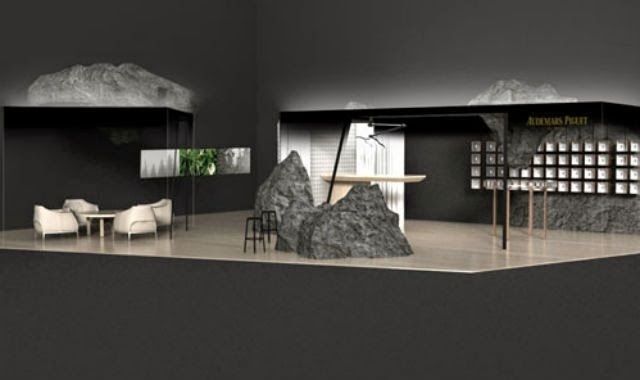 Following Art Basel in Hong Kong, the Audemars Piguet exhibition will travel to the Collectors’ Lounge at Art Basel in Basel from June 19 – 22 and Art Basel in Miami Beach December 4 – 7.